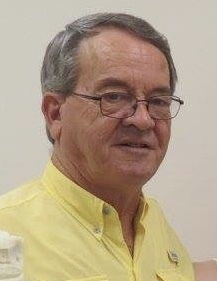 Wendell Alexander, 72 years old of Danville, passed away Tuesday, November 27, 2018 at his residence. Visitation will be from 6:00 PM till 8:00 PM on Thursday, November 29, 2018 at Lawrence Funeral Home. The funeral service will be at 11:00 AM on Friday, November 30, 2018 at Lawrence Funeral Home with Charles Williams and Wayne Bumgart officiating. Burial will be in Cave Springs Cemetery, Co. Rd. 41, Danville, Alabama. Mr. Alexander was a member of Pinhook Holy Church of Christ. He was a retired pipe insulator. 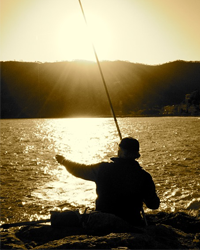 He loved fishing, gardening and his family. Survivors include his wife of 44 years: Annie Marie Brown Alexander, two daughters: Wendy Smith (Jamie) and Grace Tippett (Austin), two grandchildren: Tristan Smith and Leah Millwood (Dakota), two great grandchildren: Elijah Smith and Everleigh Grace, one sister: Ruby Higgins, one brother: Randell Alexander (Joann) and numerous nieces and nephews. He was preceded in death by his parents; Henry Clay Alexander and Dessie McWhorter Alexander, one daughter: Tonya Alexander, five brothers and four sisters. Pallbearers will be Shane Williams, Nathan Williams, Tristan Smith, Randy Alexander, Charlie Alexander, Dexter Garrison and Tony Hill. The family extends special thanks to Hospice of the Valley.